Twelve Nigerian soldiers were on Tuesday sentenced to death for mutiny after shots were fired at their commanding officer in the restive northeast city of Maiduguri earlier this year. A nine-member military tribunal, sitting in Abuja, convicted the soldiers following the incident on May 14 when shots were fired at the commanding officer of the Nigerian Army’s 7th Division, which is tasked with fighting Boko Haram insurgents. Court president Brigadier General Chukwuemeka Okonkwo said the sentences were subject to confirmation by Nigeria’s military authorities but said there was no doubt about the gravity of the offence. The panel considered “its likely effect on the counter-insurgency operations in the northeast as well as its implications on national security”, he told the court. 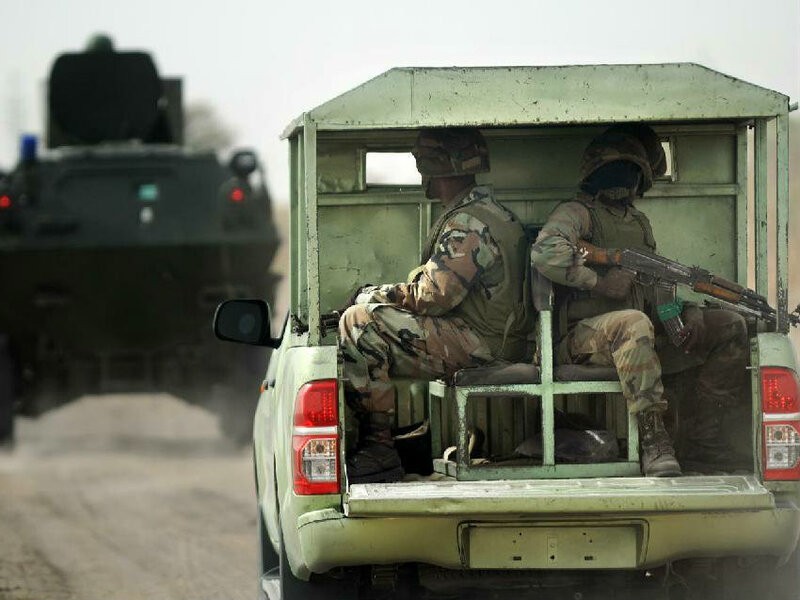 Nigeria’s army has been under pressure to end the bloody five-year insurgency that has claimed thousands of lives, made tens of thousands of others homeless and seen the militants make territorial gains in the northeast in recent weeks. The court heard that on the day in question, the soldiers from 101 Battalion opened fire at a convoy containing the 7th Division commander General Amadu Mohammed at an army medical centre in Maiduguri. The soldiers had demanded that Mohammed speak to them after a number of their colleagues were killed in a Boko Haram ambush on the way back from the Borno state town of Chibok. The previous month, Boko Haram fighters kidnapped more than 200 girls from their school in the town, triggering global outrage. Witnesses said the soldiers became unruly and threw stones at an officer when he arrived and shots were fired into the air. Mohammed then had to take cover as they trained their guns on him but he was not injured. “The soldiers succeeded in shooting at his staff car, thereby causing bullet impressions at the right rear door where the GOC (general officer commanding) sat,” Okonkwo told the court. Eighteen soldiers in total, ranked from private to corporal, were charged with mutiny, criminal conspiracy, attempted murder, disobeying orders, insubordination and false accusation. Twelve were sentenced to death for mutiny, one was given 28 days’ hard labour on another count and five were acquitted. All pleaded not guilty.